Rinnai tankless water heaters are available in three levels: Value, Luxury and Ultra. Each level has features that are perfect for your home, allowing you to enjoy instantaneous hot water and save money on energy costs. 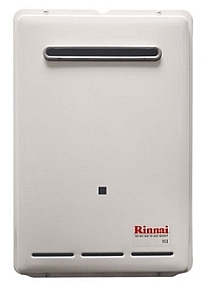 All models are gas-operated including their condensing luxury model, which is the most energy efficient and water conserving model Rinnai manufactures. For more information, please fill out the form below, and a Heating Ontario Rinnai tankless water heater expert will be in touch with you shortly.